Looking for a new place to call home? 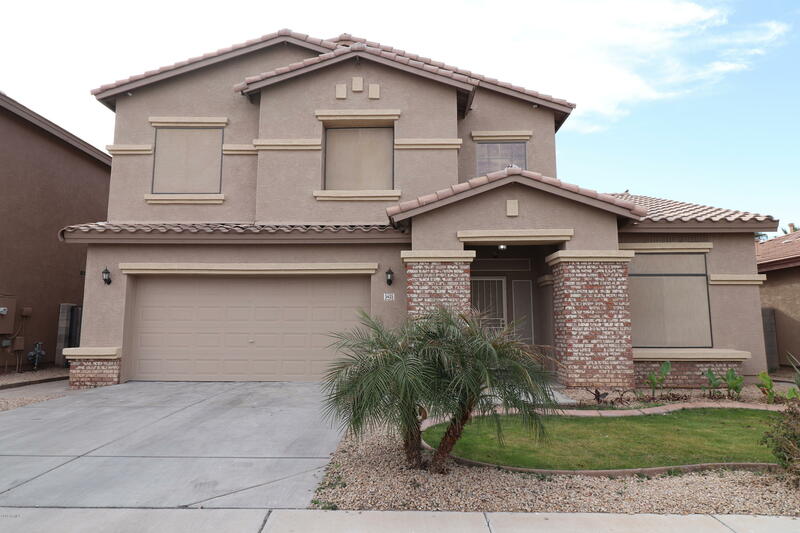 This incredible two-story home located on a desirable community of River Walk Villages of Laveen! Offering you a 2 car garage, with 2 Solar Water Heaters, gravel and grass front landscaping. Fabulous interior is complete with 5 bedrooms, 3 bathrooms, admirable living/dining areas, and neutral paint colors, blinds and celling fans throughout the entire home. Well maintained elegant kitchen includes a upgraded extended Island, recessed lighting, pendant lighting, ample cabinetry, a pantry, and lovely stainless steel appliances. You will absolutely love this master suite comprised of huge windows for natural lighting, impeccable full bath with dual sinks, soaking tub, step-in shower, and walk-in closet.